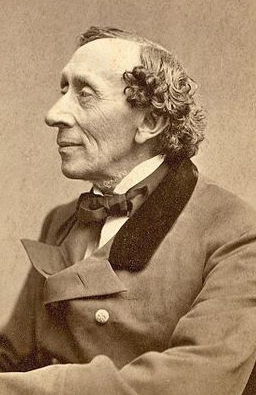 Hans Christian Andersen (often referred to in Scandinavia as H. C. Andersen; 2 April 1805 – 4 August 1875) was a Danish author. Although a prolific writer of plays, travelogues, novels, and poems, Andersen is best remembered for his fairy tales. Andersen's popularity is not limited to children; his stories, called eventyr in Danish or "fairy-tales" in English, express themes that transcend age and nationality. Andersen's fairy tales, which have been translated into more than 125 languages, have become culturally embedded in the West's collective consciousness, readily accessible to children, but presenting lessons of virtue and resilience in the face of adversity for mature readers as well. Some of his most famous fairy tales include "The Emperor's New Clothes", "The Little Mermaid", "The Nightingale", "The Snow Queen", "The Ugly Duckling", and many more. His stories have inspired ballets, both animated and live-action films, and plays.--goodreads.com. 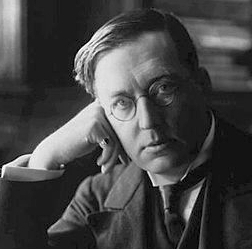 Montague Rhodes James OM FBA (1 August 1862 – 12 June 1936), who used the publication name M. R. James, was an English author, medievalist scholar and provost of King's College, Cambridge (1905–18), and of Eton College (1918–36). Though James's work as a medievalist is still highly regarded, he is best remembered for his ghost stories, which are regarded as among the best in the genre. James redefined the ghost story for the new century by abandoning many of the formal Gothic clichés of his predecessors and using more realistic contemporary settings. However, James's protagonists and plots tend to reflect his own antiquarian interests. Accordingly, he is known as the originator of the "antiquarian ghost story". James's ghost stories were published in a series of collections: Ghost Stories of an Antiquary (1904), More Ghost Stories of an Antiquary (1911), A Thin Ghost and Others (1919), and A Warning to the Curious and Other Ghost Stories (1925). The first hardback collected edition appeared in 1931. Many of the tales were written as Christmas Eve entertainments and read aloud to friends. This idea was used by the BBC in 2000 when they filmed Christopher Lee reading James's stories in a candle-lit room in King's College.--Wikipedia. Epub 20100316.epub If you cannot open a .mobi file on your mobile device, please use .epub with an appropriate eReader. Mobi/Kindle 20100316.mobi Not all Kindles or Kindle apps open all .mobi files.